The company is the noted Manufacturer, Exporter & Supplier of durable Bitumen Drum Decanter. It is specifically designed to efficiently melt the bitumen drums prior to usage. The manufacturing of the decanter is done by using high-grade parts and components. We make available our Bitumen Drum Decanter in any required specifications and at reasonable price. We have two models available with a melting rate of about 5.000 and 8.000 kg/hour. This equipment is designed to continuously melt bitumen contained in standard drums of 200 kg/each, so to enable a constant supply of bitumen. 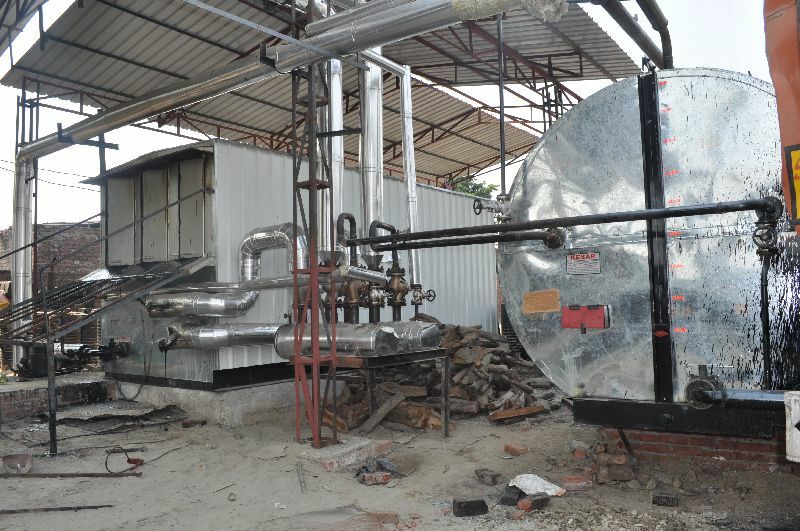 If needed, a suitable hot oil heater can be installed on the same skid to provide the required hot oil for the melting process and make the unit independent from external hot oil sources. Our Drum Decanters and Melters are primarily used with asphalt mixing plants in territories where bitumen is not available in bulk or regular supplies are unreliable and bitumen stored in drums is used as an alternative. Our decanters are designed for ease of operation and provide the most efficient system for ensuring a high throughput of drummed bitumen. Designed for use in association with bulk storage tanks the melted bitumen is automatically transferred from the decanter reservoir to the storage tank during the decanting process. Drum Heating : Drums are Heated in an enclosed well insulated chamber by circulating Hot Oil of 200 Degree Celsius Temperature through a bank of such coils and so gets heated in a few minutes only and drains into an underneath Reservoir Tank. Melt Bitumen in this Reservoir Tank is also heated to a desired Temp. By same type of heating coils. The Hot Bitumen from this tank is then pumped out by a positive displacement type gear pump with jacketed body. Bitumen Decanter 3 to 7 Ton/Hour Cap.